Benefits of Ceramic Tile installation | Flamingo Tile Inc. Ceramic tile is one of the most popular flooring choices used in homes and offices throughout the world. Ceramic tile is also a popular choice for walls, backsplashes, showers and more. Used in just about every room in a home, ceramic tile is beneficial for you and your home. Some of the following reasons why it is benefiting for many families… environmentally friendly, reduces household allergens, increases your home’s value and is one of the smartest flooring choices you could make. Ceramic tile has the beautiful look you will want in your home or office. From the many sizes, shapes and textures, you’ll be amazed at all the choices you have for designing your dream floor, backsplash or wall. When looking to hire a contractor in the Las Vegas and Henderson area call Flamingo Tile, Inc. Not only have they been around for over 27 years. 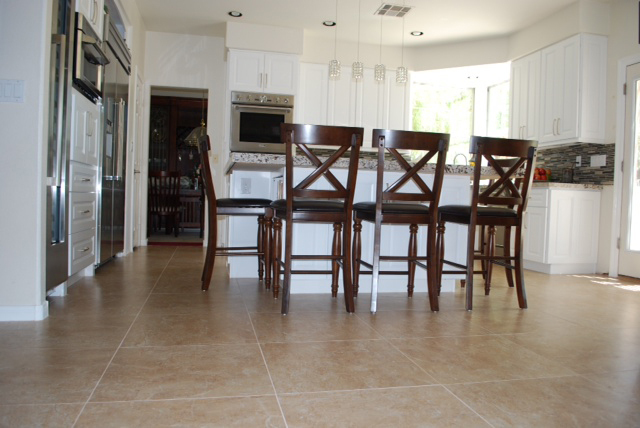 Flamingo Tile has the rating, experience and professionalism you want when hiring a ceramic tile contractor. Your home should always look amazing and the ceramic tile is just another art work to be displayed perfectly. Remember the easy care, beauty in appearance and best choice for the family is why you want to have ceramic tile installed in your home or office today.